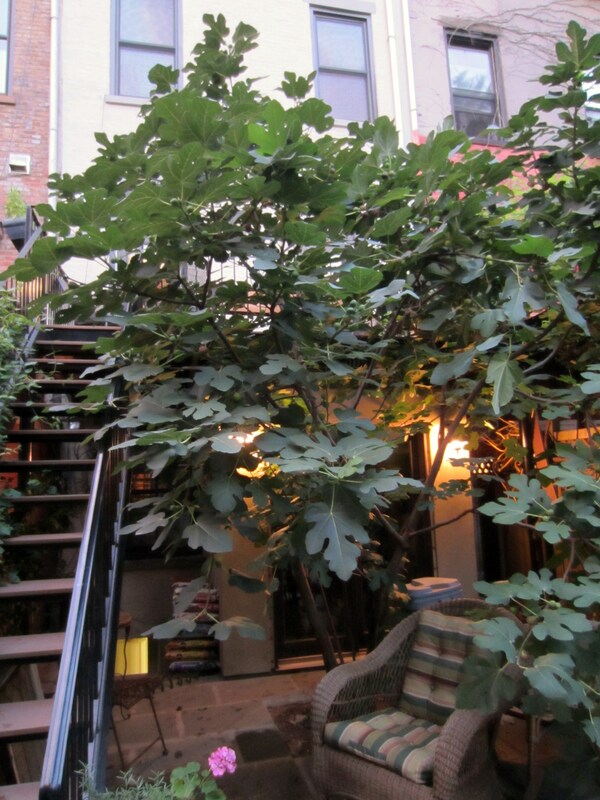 A puny little fig tree huddled in the backyard next door for years, fairly swallowed up by the brush and weeds that grew up as the brownstone sat empty in the midst of an extended estate dispute. But the house finally underwent renovation over the winter, including a thorough cleanup of the yard. And like a princess freed from imprisonment in the tower, the little fig tree burst forth in joy, reaching up to the sky, throwing out lush branches and full leaves, and blooming with abandon, as if in thanks those who had rescued it from slow strangulation. 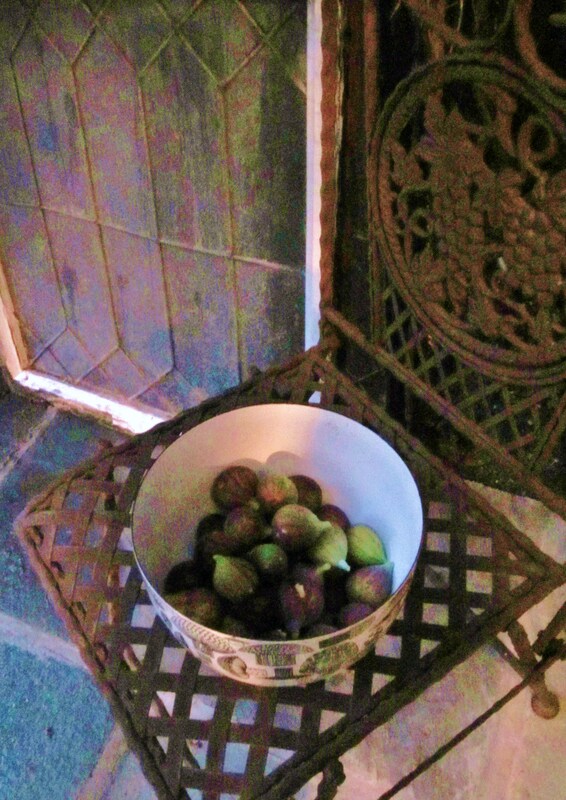 Lucky for me, the brownstone’s owner isn’t especially enamored of figs, and she took up my offer to harvest some, keeping her patio free of splattered fruit in the bargin. Without a lot of time to cook this week, a couples batches have been cleaned, cut up, and frozen for later use. Others will serve well for experiments. 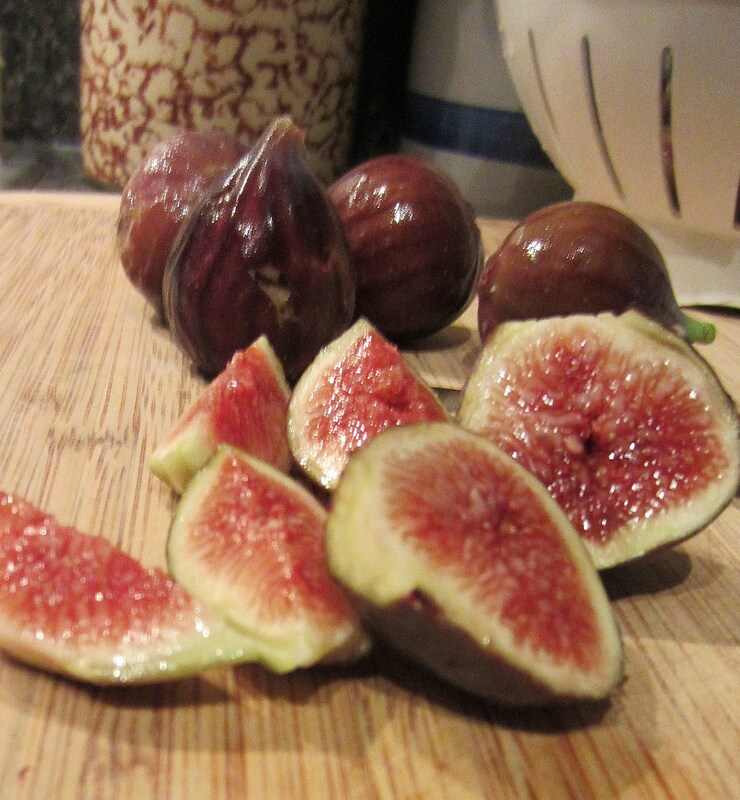 In the meantime, it feels like the lush life to have so many figs on hand that I can grab a handful to snack on plain, or top with some granola and yogurt for breakfast. Ah, summer.